Leasing Available from $10.74 per month! Leasing Available from $11.38 per month! Fast, high-quality flexible printing optimized for your Demand Document environment. Ideally suited for a wide range of printing applications from multipart forms and single sheets to labels and envelopes. In single or multi-user environments, the narrow-carriage 2248 is ideal for use in a broad range of industries, from banking, pharmacy, healthcare, education, and customer service transactions. At speeds of up to 480 characters per second in draft mode and 135 characters per second in letter quality mode. The 24-wire print head produces clear, crisp text and graphics output. 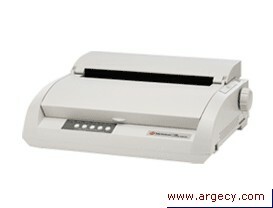 Available with IBM Proprinter X24e, and Epson ESC/P2 emulations. The resident typefaces and bar code fonts ensure fast, high-quality text, and dependable bar codes. Continuous forms and cut sheets standard. 9 resident bitmap fonts and 9 resident scaleable fonts. Serial, Parallel, USB, and Ethernet connectivity available. Rugged, reliable and trouble free.